This beautiful 1,150 sq. 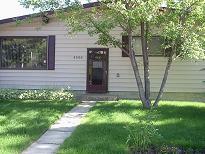 ft. bungalow is located in the Meridian Heights area of Stony Plain. It offers 3 bedrooms upstairs, 1 bedroom down, and 2 bathrooms. The basement is fully finished and features 1 bedroom, 1 bathroom, family room, and wine room. Other features include a double detached garage, garden shed, fully fenced, landscaped back yard and a large deck, included in this beauty is a garden area most gardeners dream of! Fridge, stove and dishwasher included. *$200 from each monthly payment goes directly to increase your down payment and applies directly to the purchase price of your new home!